We love sports, trainings and software. We combined all this to create the perfect tool for your business. 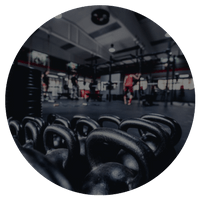 Your classes for your CrossFit™ athletes can be booked directly on your website or via app. Make sure that your members are informed about the daily WoDs and your box schedule. With appointman you can manage your box with ease online – no matter where you are. Give your customers an easy booking experience by using appointman. They can book your yoga classes directly on your website or via app. Your customers will be able to keep track of their appointments and classes. On request they will receive reminders for upcoming classes. 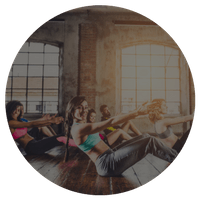 Pilates class booking and management was never easier. With appointman everything is managed in one tool on your mobile or computer. You offer serial classes or DropIns? No problem! Enjoy a simpler and more efficient daily work routine. Manage your daily class schedule with ease. Assign your customers and contracts to specific groups to make sure that they can only book the classes they purchased in your online shop. Determine how much in advance your customers are allowed to book or until when a class booking can be canceled. Keep track of everything by using appointman. With appointman everything is a breeze and you will be informed about cancelations and bookings in advance with e-mails, push notifications or SMS. Give your customers the opportunity to book their EMS trainings online on your website or by using the appointman app. 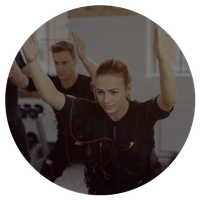 Your customers can book their personal training appointments directly on your website or by using the appointman app. The easy-to-use customer management system allows you to gather all the information about your customers you need before an appointment starts – for example infos about your customer’s goals, successes or their medical history. Sign up now and reach your goals! Drop us a line – we will be happy to advise you personally!